A tandem skydive is a high-altitude jump where you are securely attached to a tandem instructor. Skydive London’s jump is designed to be completed within half a day and consists of a comprehensive briefing on what you need to do and the equipment you will be using. The aircraft will then take you in about 20 minutes to jump altitude where you will leap out like a maniac, securely harnessed to your instructor. You will experience the exhilaration of free fall at 120mph for approximately 35 high-octane seconds before the instructor deploys the parachute. 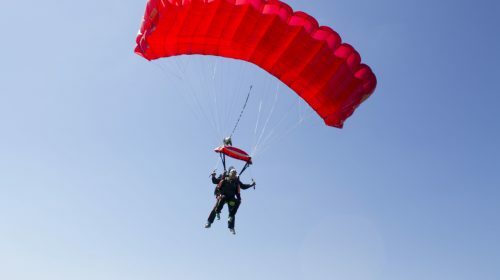 The parachute is designed for two people and your instructor will control it throughout. You will have several minutes to enjoy the flight as your instructor guides it back to the landing area. Raise a minimum of £300 for African Initiatives and your skydive is free (ie your sponsors will cover the cost of the skydive). Alternatively, you can self-fund your skydive and give us any sponsorship money. 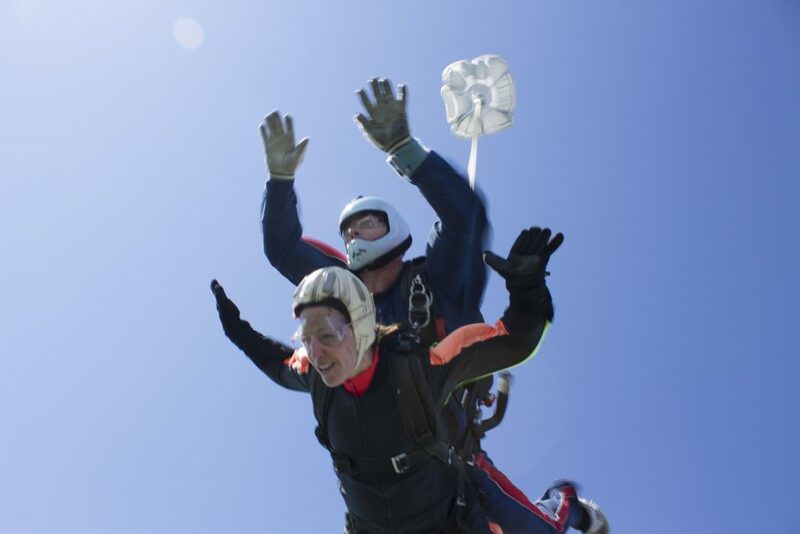 The price of the charity skydive is £200 and includes the briefing, all equipment hire and temporary membership to the British Parachute Association. You’ll need to pay a £50 deposit to secure your place and then pay the balance on the day of your jump. 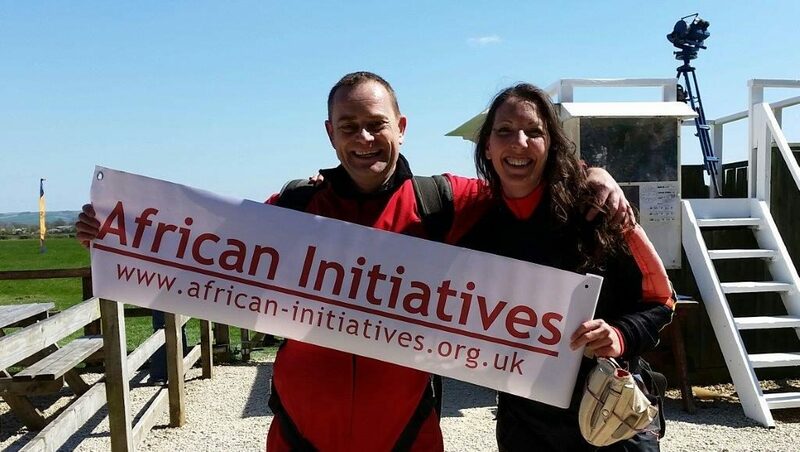 For further information or to organise your skydive, please contact our Fundraising and Communications Officer Holly Burchett by email hollyb@african-initiatives.org.uk or phone 0117 915 0001. Alternatively, you can book online. Read Emily Moulson’s blog on her experience jumping for African Initiatives here.